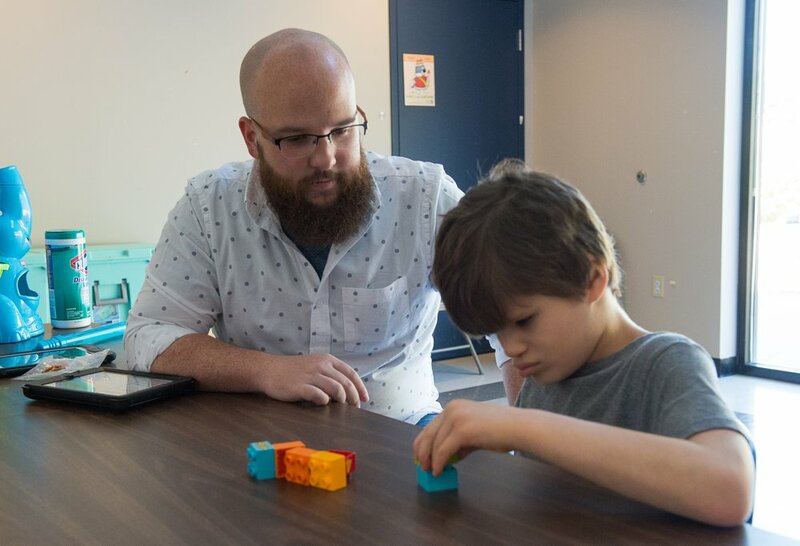 Applied Behavior Analysis (ABA) uses concepts that are familiar (such as reinforcement, prompting, generalizing) in systematic ways to teach skills and to replace problem behaviors with more appropriate ones. Project HOPE Foundation is excited to offer speech therapy with ABA-trained Speech-Language Pathologists (SLPs) at select campuses! Laura Baxley and Lucia Oelsner both worked as ABA therapists with Project HOPE prior to becoming SLPs. 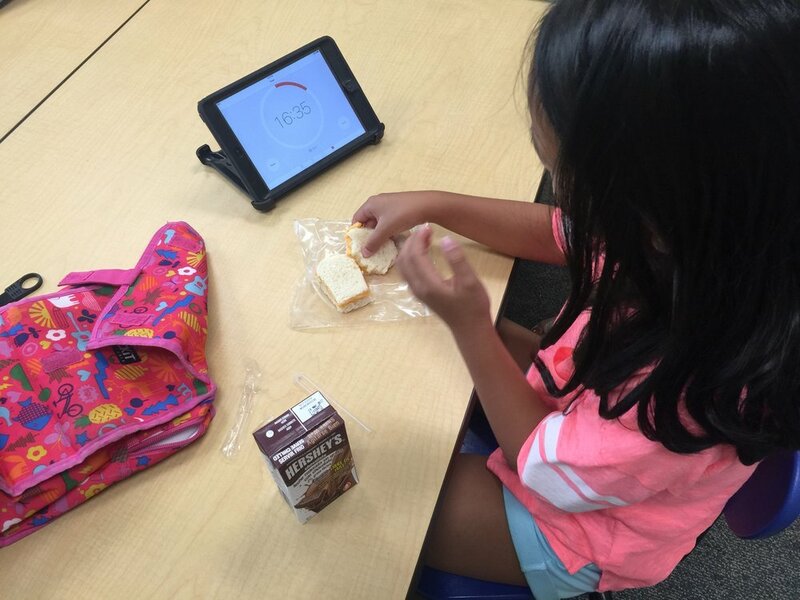 Their familiarity with principles of ABA (reinforcement, prompting and fading of prompts, pairing with the client to maximize compliance, behavior plans, etc.) helps maximize the effectiveness of their speech therapy sessions. 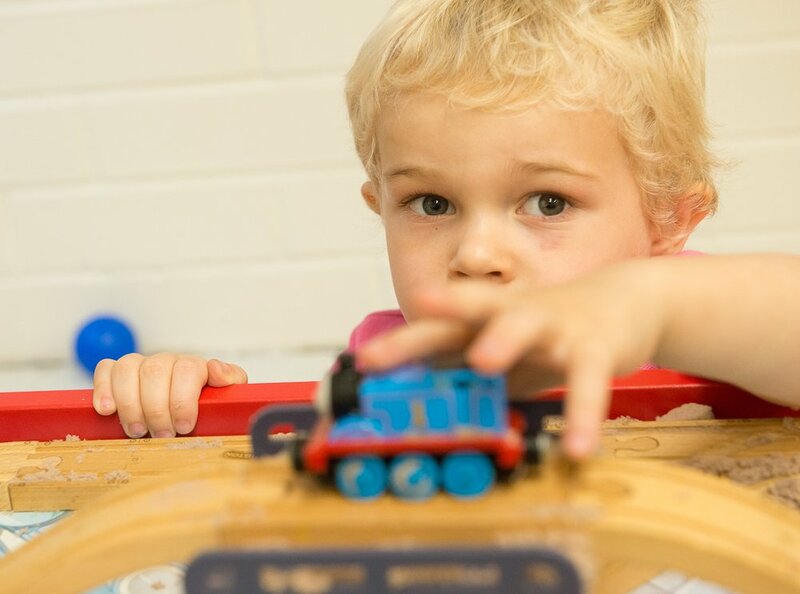 They understand the importance of the child's routine and individual preferences. If the child has a behavior plan in place, they know how to follow it. 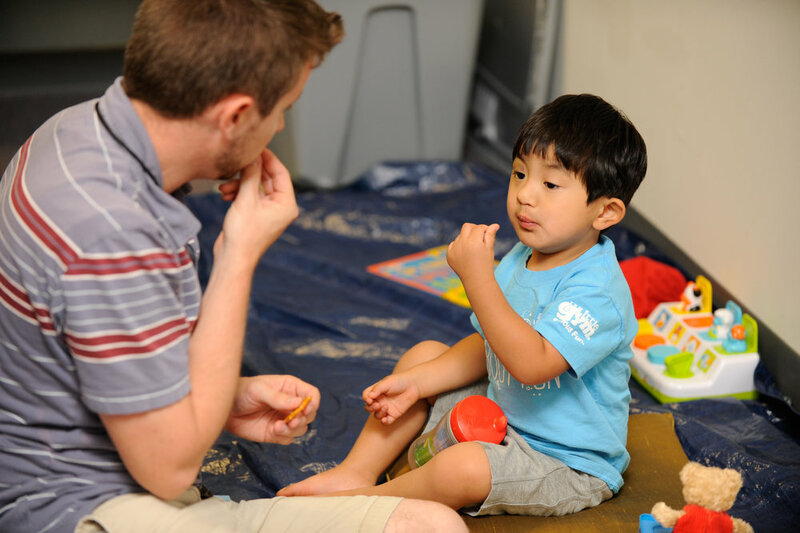 Their ABA experience and on-site presence promote increased collaboration between ABA therapy and speech sessions, maximizing results for each child. They have the flexibility to work in the environment that is best for the child, whether that be in his/her typical therapy room, classroom, or a designated speech therapy area. They can also attend team meetings when warranted. By offering in-house speech therapy, we hope to reduce parental stress about transporting children between ABA and speech therapy. Both Laura and Lucia strive to think outside the box to make sessions run smoothly. They recognize the importance of making the speech environment fun to help accomplish the client's goals. They maintain open communication with parents to be sure to address each family's priorities. Parents interested in these speech services should contact your team supervisor. We currently accept clients with Medicaid or private pay at the Greenville (Grace Pelham and Temple of Israel), Greenwood, Spartanburg, and Woodruff campuses. Laura joined the Project Hope family in January of 2012. She first worked as a line therapist, then as a Bridging the Gap teacher during the program's inception. She then returned to graduate school to pursue her masters while continuing to work for Project Hope part-time. 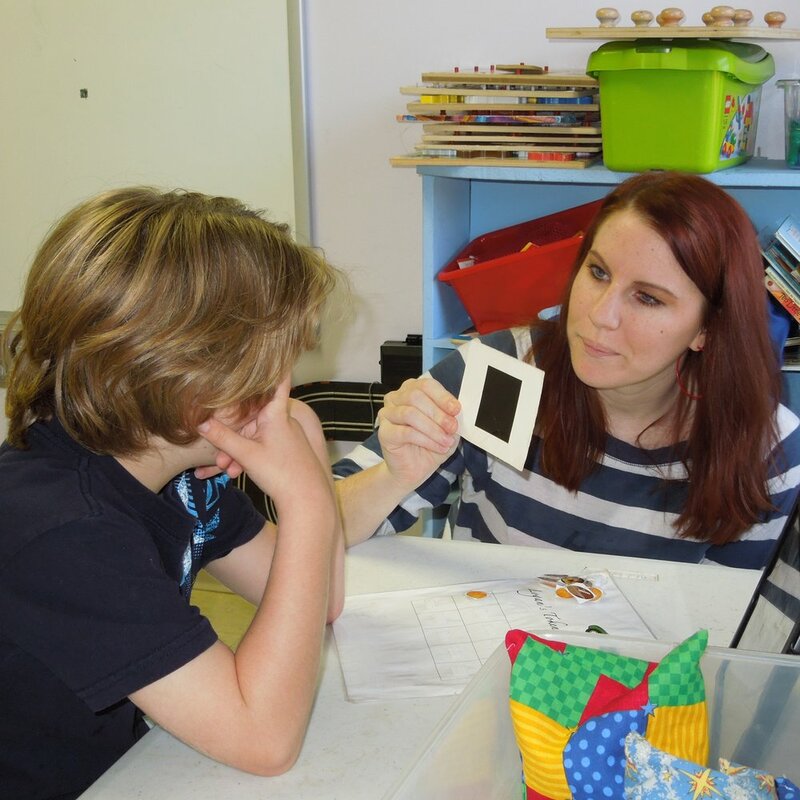 Laura loves working with children and seeing their language develop as they make discoveries about how to better communicate with their family and friends. She holds special interest in the area of augmentative communication devices (e.g., Proloquo2go / LAMP etc.) and oral placement therapy, and continues to pursue further learning opportunities in both of these fields. 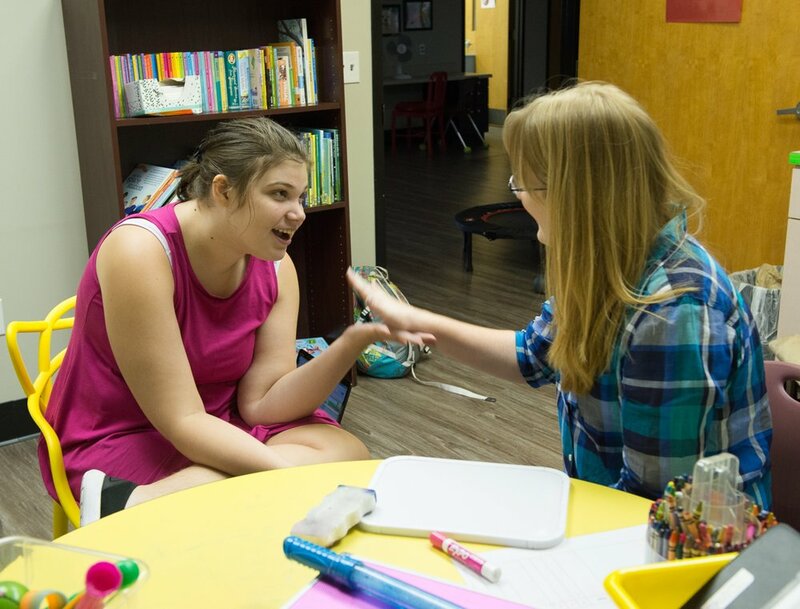 Her favorite part about working at Project Hope is the opportunity to collaborate with ABA teams to provide the best chance for communicative success for all our clients. Originally from Clearwater, Florida, Laura moved to South Carolina in 2003 to attend Furman University where she graduated with a double major in Psychology and Spanish. She then graduated from USC in 2016 with a Masters in Communication Disorders. She received her Certificate of Clinical Competency in Speech-Language Pathology (CCC-SLP) from ASHA in 2018 and is a current and in good standing member of ASHA. In her free time, Laura enjoys exploring downtown Greenville and spending time with her husband and their two young boys. Lucia joined Project Hope Foundation in September 2015 as a Line Therapist, working with both one-on-one sessions and as a shadow in the classroom. She transitioned into a 1st/2nd-grade Assistant Teacher position at Hope Academy in August 2017. She received a B.A. in Public Health from the University of South Carolina in 2014 and most recently, a Master of Communication Disorders from the University of South Carolina in August of 2018. Lucia is excited to continue working with Project Hope Foundation as a Speech-Language Pathologist. She enjoys working with children and helping them gain the communication skills they need. She shows special interest in fluency disorders, speech sound disorders, apraxia, voice disorders, and dysarthria. She is looking forward to collaborating with Supervisors, Senior Therapists, and Line Therapists to ensure that she is up to date with the client’s reinforcement schedule and behavior plan. Her goal is to be able to provide speech goals to clients’ teams to increase practice opportunities. In her free time, she enjoys playing golf, exploring Downtown Greenville, spending time with family and friends, and playing with her dog, Zara.